I do hope each and every one had a wonderful feast on T-Day. There were 13 of us at the table this year and lots and lots of savory rich food! 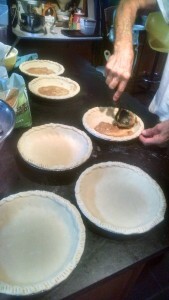 However I’ve never cared for the taste of the seemingly endless days of Thanksgiving leftovers. 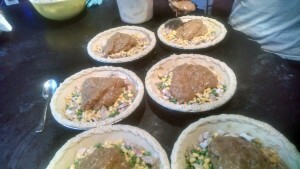 There is a fridge taste and to me leftovers never taste the way they did ‘on the day’! About 15 years ago Kip and I happened to discuss this before Thanksgiving instead of after the fact which gave me time to prepare a way around my leftover phobia. For me that meant buying a box of ready made pie crusts and a pack of aluminum pie plates cause I knew I’d have enough leftover food! 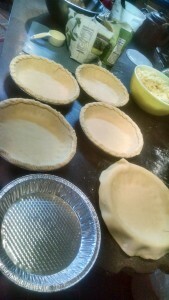 A few times over the years I’ve had my act together enough to make my own pie crust but the store ones do quite nicely. If I have served corn and peas with my meal I make sure I have enough for left overs; if not I buy a frozen bag of each and just use them frozen. The potatoes. 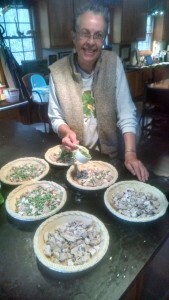 Kip makes a 16 quart pot of mashed potatoes each year; made with lots of cream and butter and salt and pepper. The kids bring their own containers to take home a lot of the leftovers and Dad’s mashed potatoes are a favorite. 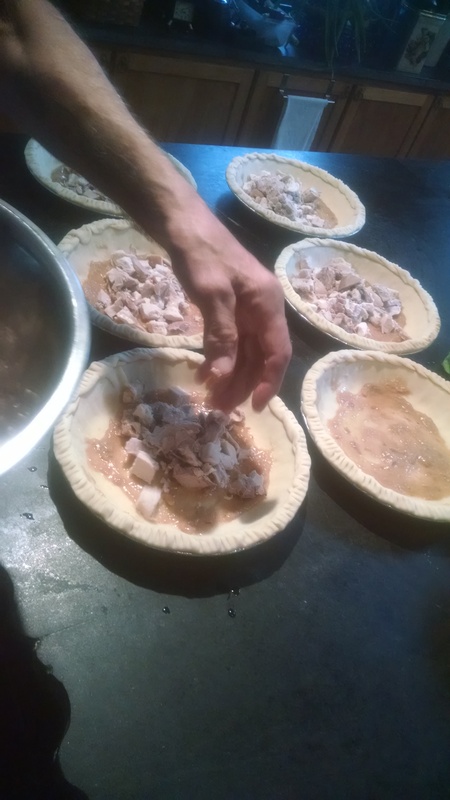 As you can see I set the project out in an assembly line; pie plates with bottom crust, bowls of chopped meat, veggies, gravy, and mashed potatoes. All ingredients are cold. A layer of mashed potatoes; because they are firm I pat handfuls and add them in patches to cover the top of each pie. 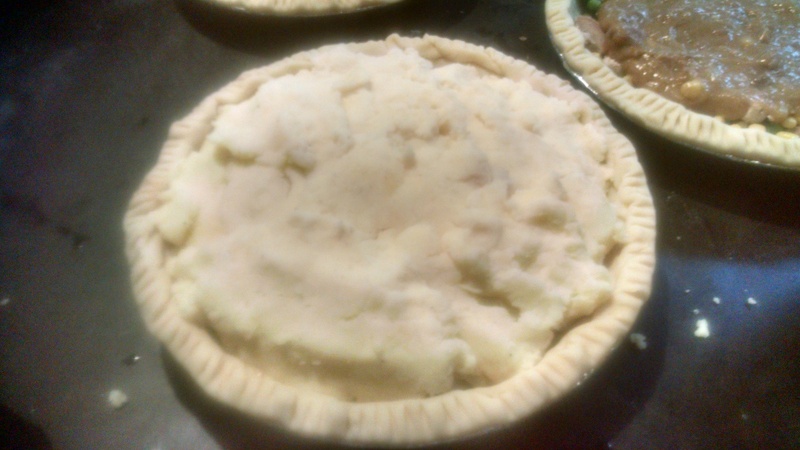 This year I ran out of potatoes so one pie got a top crust. Wrap each finished pie in clear wrap – use a cookie sheet to carry them cause they are a bit floppy. 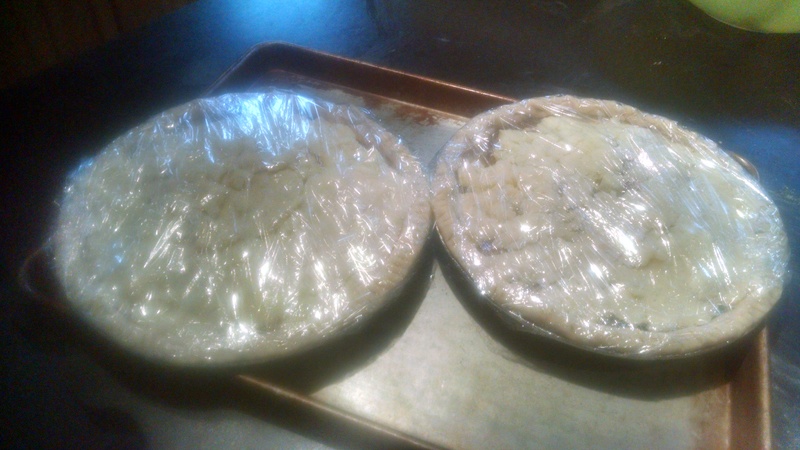 Put the pies in the freezer in one layer overnight. 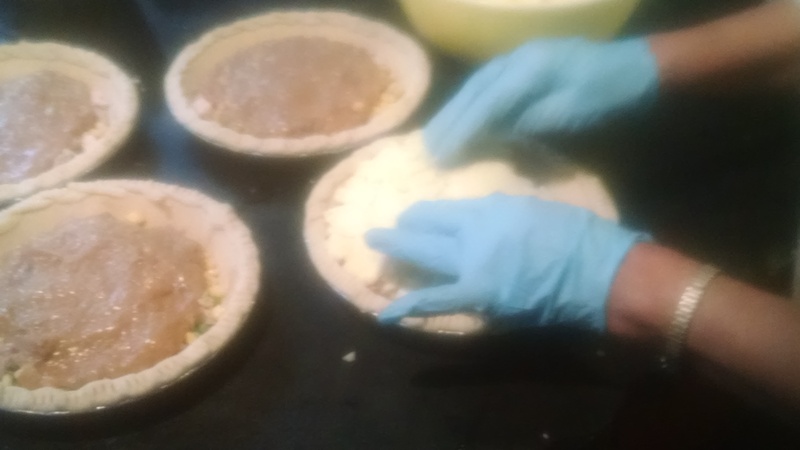 They will be frozen enough by the next day to make a final wrap. 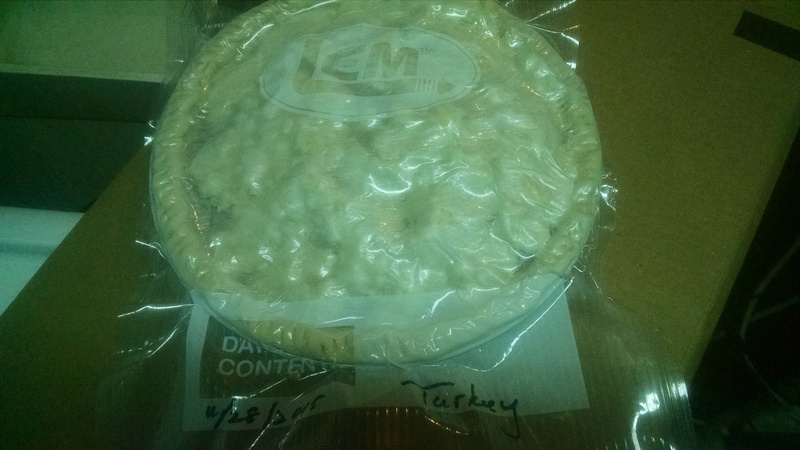 I use my vacuum sealer but in the past I’ve used heavy foil. Bake, unwrapped but still frozen, in a 400 degree oven till nice and bubbly and browned on top. Come actual winter – by that I mean after Dec 20th – and late into the early spring a hot turkey pie is fabulous. 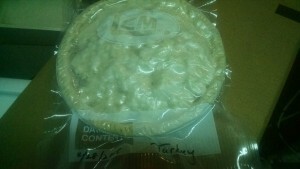 A turkey pie ready to bake also make a nice gift! !